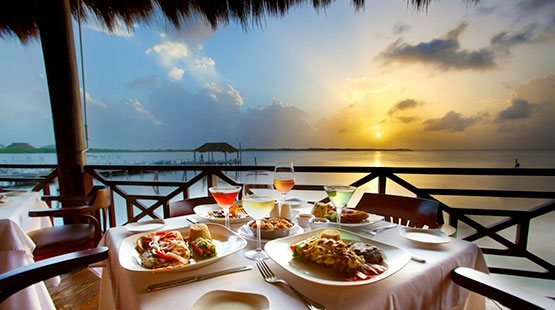 We want our guests to eat like kings and live a whole new dining experience at The Royal Sands restaurants, where they will have the best options in Cancun restaurants within the incredible facilities of this magnificent hotel facing the Caribbean Sea. Discover the flavors of Cancun and the best of Mexican food; indulge yourself with the dishes that our professional chefs prepare, always leaving a bit of their soul in each one, for our guests to get the best in seafood, pizzas and pastas, delicious meats, sushi, quesadillas and more. Whatever you do, don't miss our snack, pool and beach bars to enjoy a delicious and refreshing drink and the snack of your choice, prepared with the finest ingredients to make your taste buds dance to the rhythm of the best flavor with the Caribbean twist of this beautiful resort in Cancun. Enjoy dishes made with Mexican soul in one of the best restaurants of Cancun, Hacienda Sisal Restaurant, is a place that will transport you to a typical Mexican hacienda due to its traditional decoration and authentic flavors. 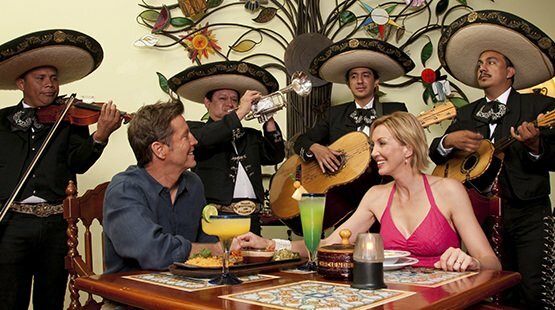 Hacienda Sisal Cancun offers you best of Mexican food and seafood, fine meat cuts and a delicious brunch. Open: Monday to Saturday from 2 p.m. to 10 p.m. and Sundays from 8:00 a.m. to 2 p.m. and from 5 p.m. to 10 p.m. 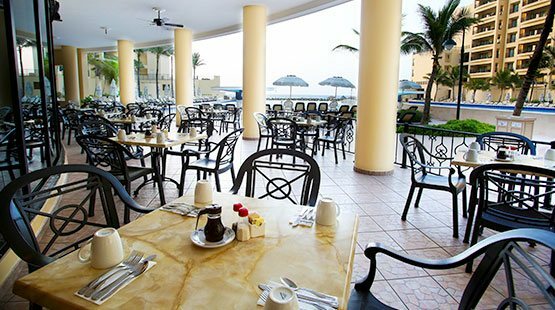 Located on the premises of The Royal Sands Cancun, La Veranda restaurant is one of the most visited by the guests of this magnificent resort. 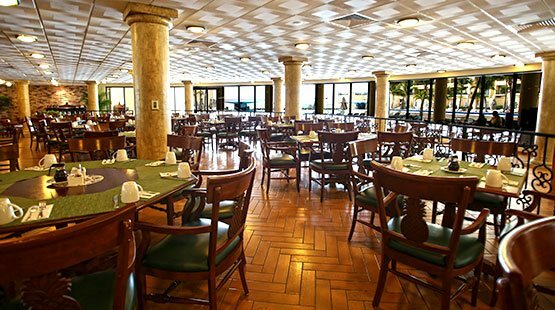 This restaurant in Cancun offers a delicious menu of international cuisine with buffet for breakfast, lunch and dinner, as well as delectable cuts of meat, salmon, seafood, and thematic buffets with a touch of the Mexican Caribbean that everybody will love. Open daily from 7 a.m. - 10 p.m. If you don’t want to miss a minute of the fun and relaxation or our incredible pools at The Royal Sands, Char Hut snack bar in Cancun is the ideal place to eat something simple but always tasty, and with great flavor. 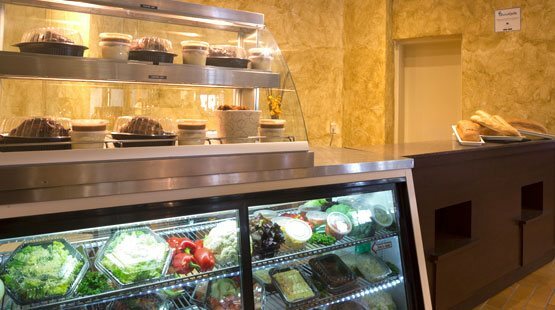 Try our nice hamburgers, French fries, sandwiches, wraps, and a lot more, while having a refreshing and delicious drink. Open daily 10 a.m. to 5 p.m.
During your Cancun vacation we are sure you will crave to eat a delicious pizza at Bartolo's Pizza Cancun. Handmade and prepared with the finest and freshest ingredients, these pizzas are a real Italian treat with a Caribbean twist. Place your order and we will deliver it to the comfort of your villa or suite. We assure you that you have never tried something so delicious. Open daily from 1 a.m. to 9:30 p.m. 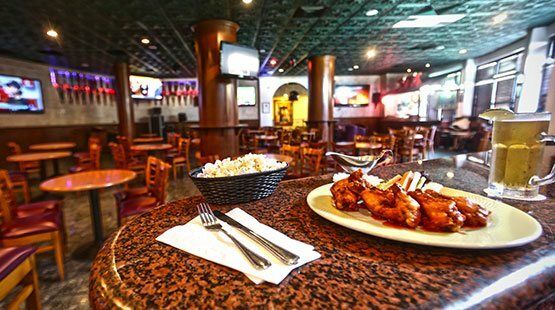 The best sports and evening entertainment awaits you at Sidelines Sports Bar & Karaoke Bar Cancun, the ideal place to spend a fun evening of karaoke, enjoy a good tropical drink, the best tournaments and sports games on any of our 13 flat TV screens and the delicious snacks that we will prepare for you. Monday, Thursday and Friday 3 p.m. to 11 p.m., Tuesday and Wednesdays 3 pm to 12 am and Saturday and Sunday 10 a.m.-11 a.m. and 4 p.m. to 7 p.m.
Have a memorable dining experience in our world-class Cancun restaurant Captain’s Cove, proud to have the best of land and sea: exquisite surf & turf, fine steaks, catch-of-the-day filets and pastas, and of course homemade cakes and desserts encompassed by the House Cocktails; Whatever your cravings, all options are cooked with unparalleled and passion. 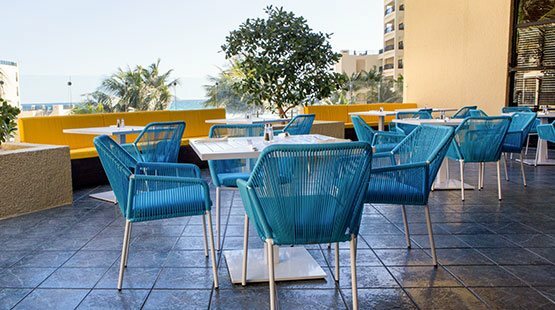 Located by just a few steps outside The Royal Caribbean, is open daily for lunch and dinner, from 12 to 11 p.m. The Sea offers its delights in our ceviche restaurant Sand Dollar in The Royal Sands. Try one of the best ceviche of the region in this cevicheria in Cancun that serves a selection of ceviches, seafood cocktails, tostadas and more with a Caribbean gourmet-style, on the other hand in our Sushi Bar, you will enjoy the most delicious sushi rolls in Cancun, both while enjoying a delicious lemonade or the drink you prefer, and the wonderful views of the Caribbean Sea. 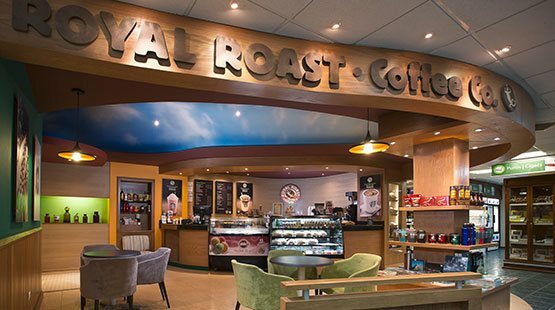 The Royal Roast Coffee Co., your coffee shop in The Royal Sands is now proudly serving Starbucks Coffee™ and we just love that smell and taste! Choose your favorite specialty from a menu featuring different coffee drinks, fruit smoothies and a selection of refreshing herbal teas, plus the finest pastries, sandwiches and other sweet treats to pair your favorite coffee melt; feel free to grab & go, or relax and enjoy in the bar, open daily from 7 a.m. to 11 p.m.